With the recent purchase of a straight line folder / gluer with 4 & 6 Corner, LCP has expanded our capacity to produce custom presentation folders, specialty inserts, unique mailings and packaging in-house. 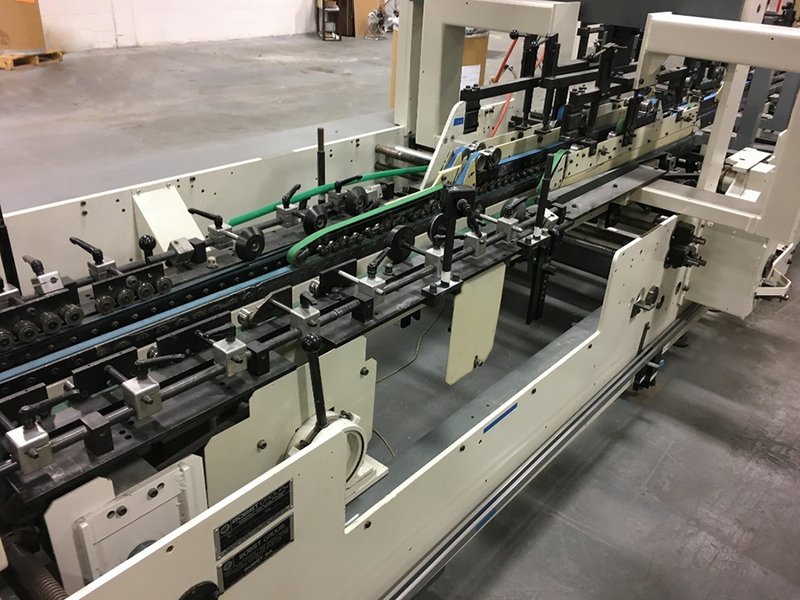 The Bobst folder/gluer is a robust piece of machinery with a maximum working width of 43.3˝, z-fold capability and a 16-channel HHS C-100 glue system. The Bobst folder/gluer allows LCP the to produce a wide range of snap-lock bottom cartons, which offers additional security and is ideal for heavier products. LCP can now produce side-seam or straightline cartons in-house which will drastically cut the turnaround time on projects. There is no limit to substrates; chipboard, kraft, solid bleached sulfate, clay-coated newsback, microflutes, ‘green’ substrates and plastics are all handled with ease using the Bobst folder/gluer. LCP, Inc. has been a member of the printing industry since 1970. Located at 98 Noll Street in Waukegan, Illinois, LCP is renown for high-end commercial printing and color management. For more information on services visit the website at www.lakecountypress.com or call 847.336.4333.